Daddy Issues, how many of us have them? I surely know I do. They have been a source of internal conflict for most of the 35 years of my life. I grew up in a fairly interesting dynamic. I had a father figure in the household. My mom and the man I call my dad got together when I was only 3. They married some years after. But the man whose DNA I am carrying around, while near, we never really formed that daddy daughter relationship. I always until recently, desired and hoped for it. I knew who he was. I would see him occasionally. I spent plenty time with his family. But from my view, he just wasn’t interested in being a father. At least not to me. Every now and again I get reminders of what I missed, or rather that he missed. And I can't help but wish that he had been there for them. I can't ever recall a time that me and my father so much as played a game of uno together. Seeing my hubby with this rascals around here makes me so grateful to god that he gave them him. That they get that. He is intentional to give them their time and to get to know them and be present. I surely love that! The couple times I went with my dad, I always loved how he drove. LOL sounds crazy right? He had a led foot and rides were always fun. Probably not as safe, but they were fun. He even knew how to drive a manual transmission which I thought was so cool. It would have been nice to learn how to drive one from him rather than from a friend on a highway because she was letting me borrow her car and it was manual. I recently stumbled across a blog post from Alyssa J Frietas titled Dating Advice From My Father. A good read, and with great advice I might add. It made me realize that I didn’t get that advice from my dad. No one told me to be okay with where I am, that it’s not me it's them, or how awesome I really was. Instead I learned it through a lot of time spent on fools, a little heartbreak, a child out of wedlock, and then getting the blessing that is my husband. It would have been nice for him to give me a little advice. I am truly thankful for my dad (my step dad) for being all that is and has tried to be over the years. During the raising up years, it was rough. For him and for me. But now, now, it’s good! I don’t feel like I am missing my father anymore as we have grown into relationship with each other. Sometimes I guess it just takes a while. My brothers (one of which comes from my bio dad) walked me down the aisle and my dad (step dad) walked me to my husband and gave me away. But I sometimes wonder if my bio dad ever feels like he missed out or if it even matters. I’m sure this list can go on. But these are the things that stand out and are on my heart today. The things I wish my father was there for. 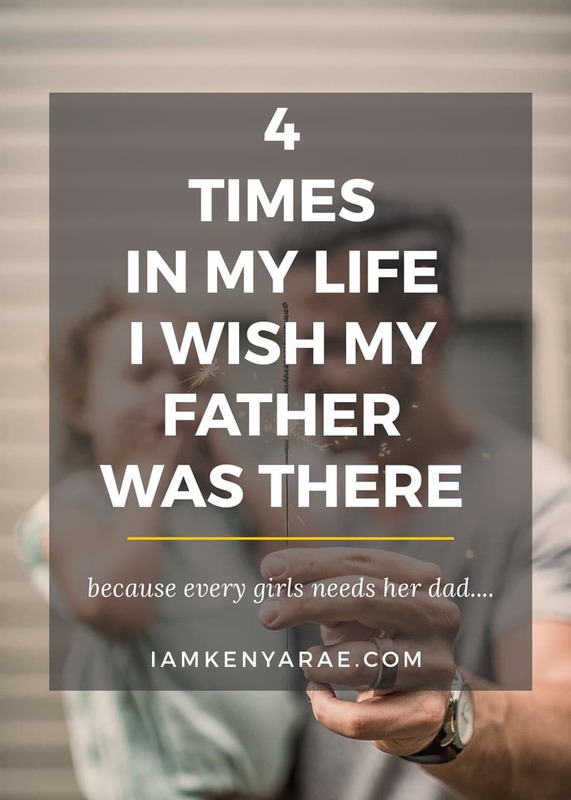 You are so right that a girl needs her daddy for these things. I’m glad you had your step dad. My husband did some of these for my daughter who is now 25. Her biological father is nowhere to be found. My Dad passed away while I was pregnant with my twin boys and it’s very upsetting to think he’ll never meet them. Introducing your babies to Dad is another magic moment. I can very well relate to this post. Same story. Step father in the picture since I was three years old. Never felt a connection with either one of them. Such a great list. I wish my dad was there for so many things as well. The only thing he was there for was to walk me down the isle. I’m so thankful and grateful that my dad has always been a part of my life. 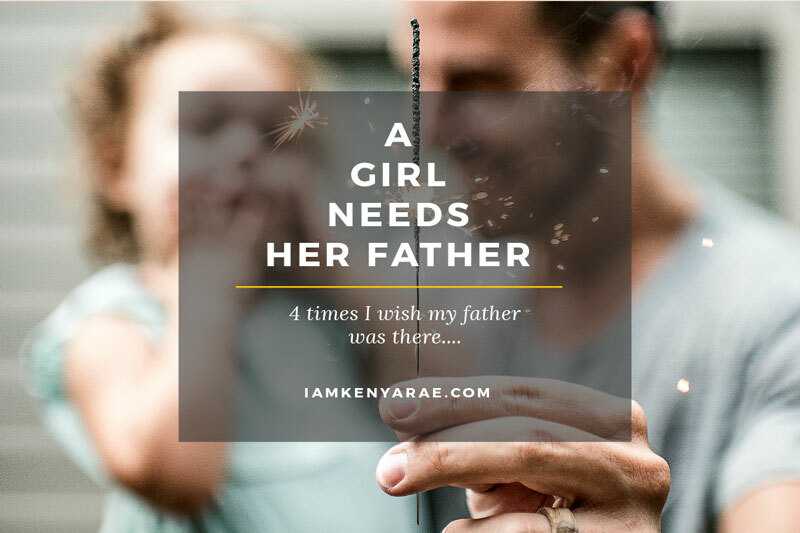 I always have told my step-daughter that those moments when she wants to ignore her dad when things don’t go her way, to think about many of her friends who don’t even have a dad in their lives. Now that she’s older, she gets it. I can certinaly relate. I didn’t grow up with my dad but you are still blessed to have at least had your stepdad willing to step in and fill the void. I think it’s completely other dynamic when there isn’t a father or father figure. Thank God for therapy to help me sort through those affects and be consicous of it in the decisions that I make. That’s awesome that you sought therapy. So many of us just try to move on and act like it’s not a thing when. It truly affects us!